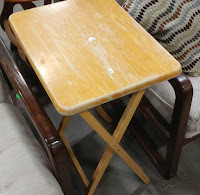 (1) In thrift stores, I almost always find unfinished wood pieces worthy of a decorative design or serious artwork, sometimes even beautiful basswood rounds that are untouched (at least on one side). 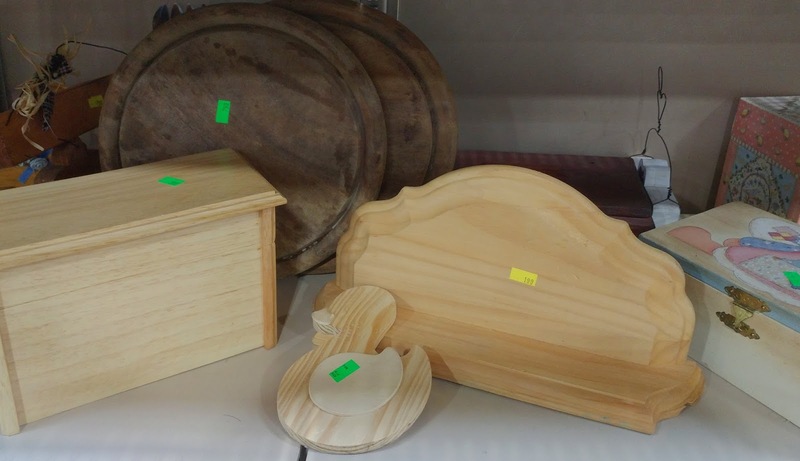 Used cutting boards, decorative plaques, or painted trinket boxes can easily be sanded to clear the way for your designs. Be sure to thoroughly sand off all paint and finish to keep from inhaling any toxic fumes as you're creating your art. The wooden items pictured above were anywhere from 39 cents to $4. The old fold-up tray pictured here (for $5) can be sanded to make way for a simple checkerboard design or a nice landscape. (2) Pyrographic pattern books can cost up to $20 dollars or more (but I encourage you to save up for one or two). However, I found these design books in the magazine section--all for 50 cents each. 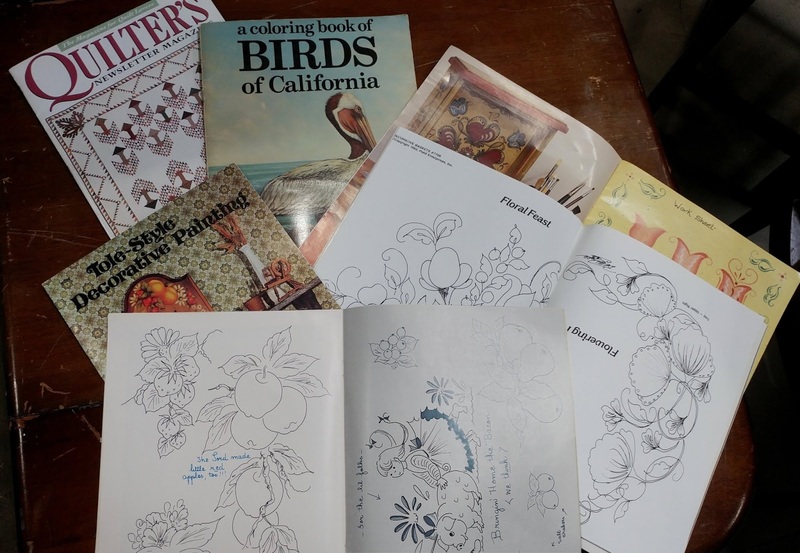 Tole painting patterns are ideal for burn artists, even quilting patterns or "advanced" coloring books can offer great designs. (3) If you're using plywood or other surfaces without decorative edges (as opposed to most plaques or natural bark), I encourage you to find some frames worthy of your art. 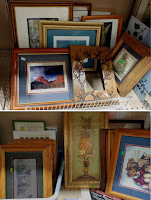 Many artists don't frame their work because of the cost, but the frames pictured here were all just a few dollars each. Look for neutral colors (earthtones), or go for gold. 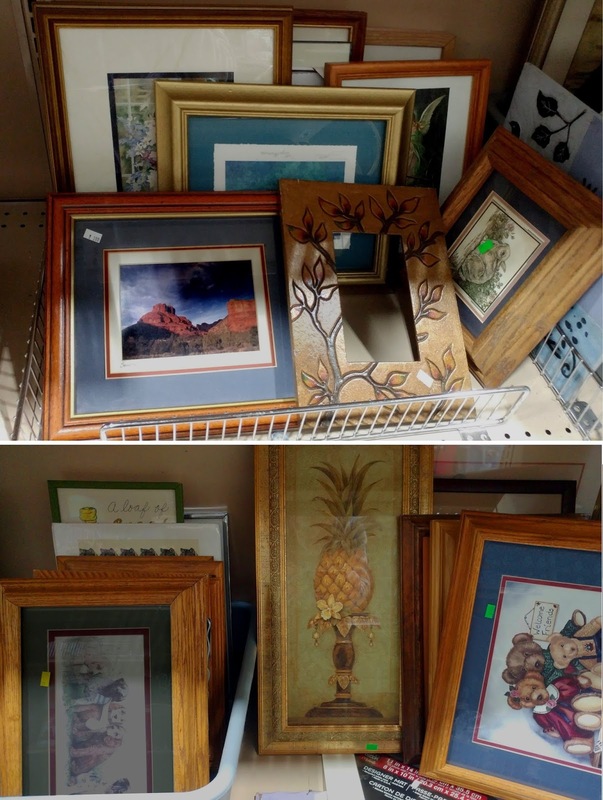 Today I bought a beautiful gold frame for $3 (look for the frame with the pineapple print) that would sell for $15 to $30 at major craft stores. Try looking for decent frames at yard sales, then spray them with an antique gold to give your art the classic look it deserves. Creativity doesn't have to cost much. Yeah, you can buy burning tools that cost $200 to $300. But then there are burn artists who create fantastic work with nothing more than a magnifying glass.